Stand out with zigzag prints and bold geometric shapes. Designers such as Missoni and Pringle of Scotlandshowcasedknitwear in their SS18 ready-to-wear runway collections in Milan and London. Strong patterns created looks that challenged the notion that such garments should be seen as delicate. Now, activewear brands have adopted the trend combining intricate knits with performance materials. Incorporate these three pieces into your athleisure wardrobe. 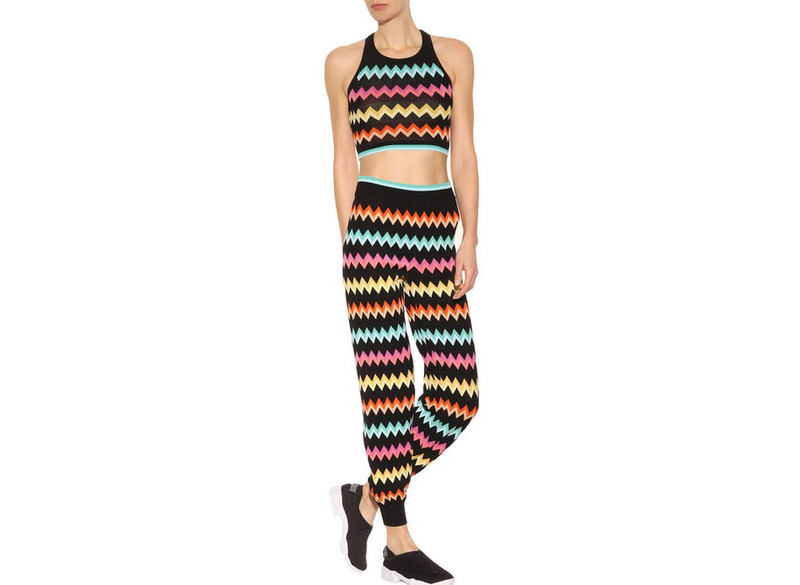 This top features the brand's iconic zigzag stripes and is breathable during a hard workout. Add matching track pants to achieve a runway-ready gym look. Bold geometric shapes make this top a statement piece, while the stretch knit fabric moves with you. Pair it with navy or burgundy leggings for a fall feel. This soft cashmere-wool blend sweater is the perfect to-and-from the gym garment. Wear it with patterned bottoms and black sneakers.